The AWA ClearView membership plan provides a fully insured vision benefit partnered with additional discounts and resources that make this a great membership level on its own or as an add-on to another AWA membership level. With the MESVision PPO national network, members have access to their choice of Ophthalmologists, Optometrists or Opticians. Plus, with benefits toward frames, lenses and contacts, members will enjoy cost savings from AWA ClearView. Through this online shopping site, members can earn up to 40% cash back at more than 5,000 leading merchants and save even more with coupons that can be used instantly in-store. Shop at popular stores like Walmart, Target, Best Buy, Crate & Barrel, Gap, Banana Republic, Champs Sports, Home Depot, Macy’s and JCPenney. Book travel (airfare, hotels, rental cars, and more) through featured sites like Travelocity, Orbitz, Hotels.com, Priceline and Expedia. Members can save 70% or more when purchasing glasses online. As one of the largest online optical sites, 39DollarGlasses.com is the most recognized and trusted name for prescription eyeglasses and sunglasses. Feedback from thousands of happy customers has earned 39DollarGlasses.com the prestigious 5-Star rating in Yahoo! Shopping and an A+ Rating with the Better Business Bureau as an accredited business since 2002. MESVision has been providing real choice in exceptional vision care services to thousands of companies and millions of vision plan participants since 1976. 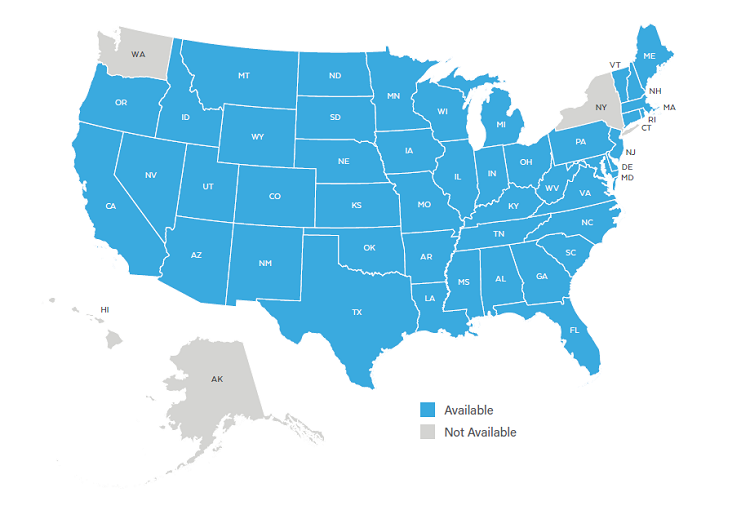 As an AWA member, you now have access to one of the largest vision provider networks available in the United States with thousands of locations nationwide. You have thousands of Choices! MESVision® providers can Choose eyewear from ALL brands and ALL materials available. MESVision® providers are not restricted to certain brands and optical laboratories as with other vision plan companies. The Choice is yours to shop and compare to receive the most value for your MESVision® benefit dollar. With MESVision® you can Choose to utilize one provider for your examination and eyewear materials or you can Choose to receive your examination from one provider and your materials from another provider. The Choice is yours! The MESVision® Network includes Real Choices in network vision care providers – Ophthalmologists, Optometrists, Opticians and Optical Retail Chains like Lenscrafters, Wal-Mart, Target, Pearle Vision, Eyemasters and more. Discounts A 20% discount is available for cosmetic extras, such as tints, coatings and other add-on charges to standard lenses, after Covered Services are rendered. The discount may be applied to charges for the frame or contact lenses (except disposable or replacement contact lenses) over the stated allowances. The 20% discount also applies to additional pairs of glasses and/or pairs of standard contact lenses. To determine whether a provider offers the 20% discount, an insured individual can review their Participating Provider Directory, call MESVision at (800) 877-6372 or visit www.MESVision.com. Contact Lens Replacement by Mail Program MESVision plan members can now order contact lenses online through our website. Ordering contacts is easy. You can use your benefit at checkout, no claim form required, and any order over $50 ships free. Please visit www.MESVision.com/Optics to learn more. LASIK Procedures Discounts are available through LasikPlus and Qualsight Lasik for conventional and custom LASIK procedures. 1 Less any applicable copay. 2 Retail frame benefits will be converted to wholesale or warehouse equivalent prices at category 5 or 6 provider locations, (please refer to the Plan’s website at www.MESVision.com). The wholesale or warehouse equivalent may be approximately 30% less than the retail frame allowance; please confirm this benefit before ordering your eyewear. A shift in the axis of the cylinder of 15 degrees, or less than 15 degrees on a graduated scale as the cylinder power increases over 0.75 diopter. The graduated scale is based on the shift in the axis multiplied by the cylinder power resulting in a factor of 8 or more. Table available to provider on request. 4 For Dependent Children through age 18. 5 This benefit is in addition to the comprehensive vision examination, but in lieu of lenses and frames. If contact lenses are for cosmetic or convenience purposes, the Policy will pay up to the above stated amount toward the contact lens evaluation, fitting costs and materials. Any balance is your responsibility. If contact lenses are medically necessary, one pair is fully covered. Approval from MESVision is required. Please refer to your Policy if you require additional information. 6 Contact Lenses frequency is once every 24 months, or once every 12 months with a prescription change. * One-time $25 enrollment fee applies. Fee is waived when vision is added to an active AWA membership. Gerber Products – “the baby food people” – established Gerber Life Insurance Company as a separate subsidiary in 1967. The two companies share a common goal: to help parents raise happy, healthy children. For Gerber Life, this means providing quality life insurance especially for young families on limited budgets and people at every stage of life. Today Gerber Life insures over 2 million people throughout the United States and Canada. The Company’s underwriting principles, persistent cost controls, and careful monitoring of policy reserves for future benefit payments combine to build stability that can be counted on…now and for the years to come. Gerber Life Insurance Company has achieved A rating (Excellent) from A.M. Best. Since 1976, MESVision has provided outstanding vision care services to large and small employer groups through well-known insurance companies, health plans, preferred provider organizations and self-funded (administrative services only) plans. MESVision is a third party administrator focused on efficiently and effectively administering vision benefit programs. MESVision performs claims administration, eligibility verification, billing and collections, as well as customer service regarding all member and provider inquiries. MESVision offers one of the largest and most comprehensive networks nationwide. MESVision members have full access to the MESVision national network, with their choice of Ophthalmologists (MDs), Optometrists (ODs) or Opticians. MESVision is a Preferred Provider Organization committed to developing and maintaining a strong vision provider network. MESVision’s participating providers are required to meet stringent quality of care and credentialing standards. Historically, members utilize participating providers 98% of the time. N/A in AK, HI, NY, WA.